Our business meeting last week, which was held in Honmachi-an area at the center of Osaka City, ended when the sun was about to set. For a moslem, it is a specific time to perform sunset (Maghrib) prayer. If I were at home or at the office, I would perform the salat right away. However, being in a public place, I had to find a certain space to perform salat, for example at public parks, near an emergency exit, or in certain quiet places where there were less passerby and less disturbance towards other people. After taking ablution (wudu – Islamic procedure for washing parts of body using water in preparation for salat ), I placed the prayer mat at the place and performed salat. The condition is a lot different in a moslem majority country like Indonesia, we can easily find masjid everywhere, therefore, there is no need for us to perform salat in public places. Things get slightly different nowadays, I perform maghrib prayer inside Namba CITY shopping mall, a mall in the center of Osaka. No, not near the emergency exit, but, inside a mushola (a special room to perform salat ). It was officially built by Nankai Train Company and launched on 30th September 2014. The 50m2 space is divided into two separate rooms for male and female by using partition, and is also equipped with spaces for ablution in the consecutive rooms. 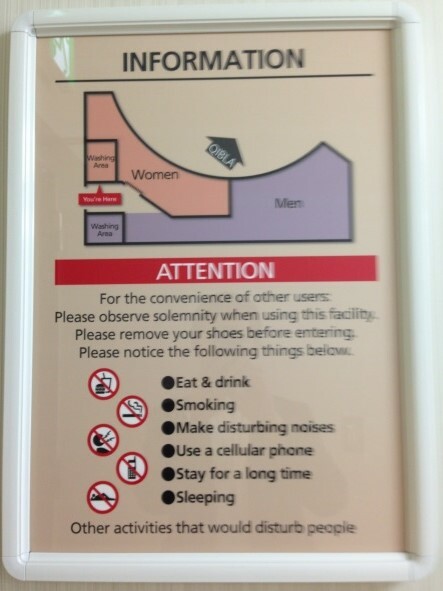 We can find an arrow at the ceiling as a sign to direct us to face qibla (Mecca : a certain direction to perform salat ). The place is available from 11:30am to 20:30pm. 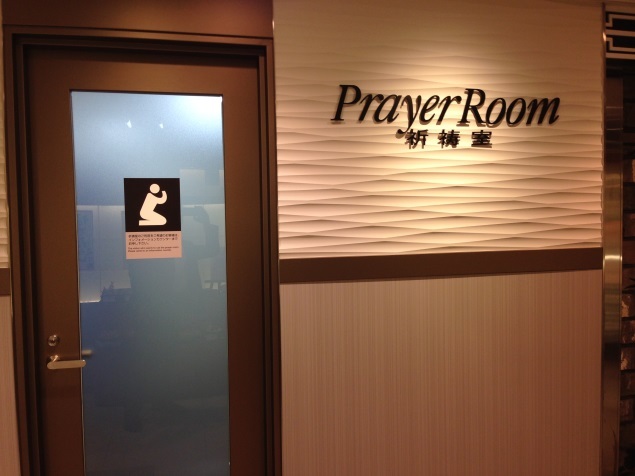 The praying room is located inside the main building of the shopping mall, Namba CITY, at level B1, near the Nankai Namba station. We are allowed to use the room by previously confirming the nearest information counter to get permission and have the door opened. 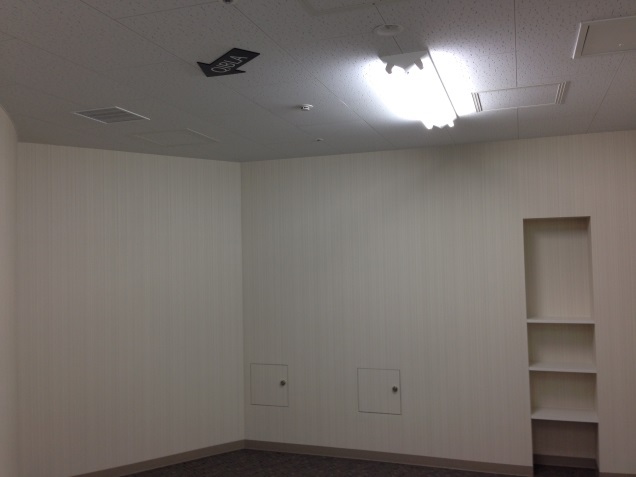 The existence of the mushola is very important for the moslems who reside in Osaka. We are now able to perform our religious activities quietly and it surely makes our time more efficient as we are no longer confused on how to find a proper place to pray. Hence, we are very grateful.